FREE on Amazon from December 9 until December 13! This bestselling romantic comedy is FREE today! Can a city girl find her courage by going on daring adventures with an adrenaline junkie? 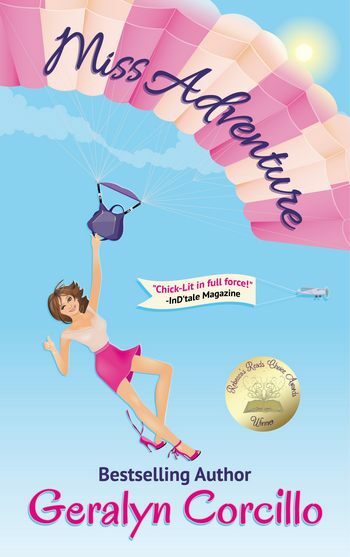 When a freak fast-food accident almost kills shrinking violet Lisa Flyte, she decides it's time to get a backbone and really start living out loud. But how is she supposed to get tough all of a sudden after years of watching from the couch? Jack Hawkins, that's how. When Lisa finds out that the outdoor extremist needs a clueless urbanite to test his top-secret line of idiot-proof adventure gear, she gets the most outlandish idea of her life: she will be his undercover test dummy if he helps her become brave on their adventures in the wild. Lisa survives the treks, jumps, and dives (barely!) But can she use her bumbling...uh, blossoming, outdoor moxie to become the alpha hero of her everyday life? Will she find the grit to pursue a career she really wants or the nerve to stand up to her bullying family? And will she get gutsy enough to go after Jack? He's a man who's not afraid of anything...except maybe falling for Lisa.